Cache Logistics Trust - CIMB Research 2017-10-25: 3Q17 Not Completely Out Of The Woods? Cache Logistics Trust - 3Q17: Not Completely Out Of The Woods? Cache Logistics Trust (CACHE)'s 9M17 DPU of 4.986 Scts (-11.3% yoy) was in line with consensus and our expectations at 75% of our FY17F. 3Q17 DPU of 1.541 Scts was at 22%. Excluding the effects of the rights issue, 3Q17 DPU would have been 1.818 Scts (- 1.6% yoy), reflecting stable operations. Portfolio occupancy remained strong at 97.3%, -1% pt qoq. However, the remaining elephant in the room is the potential conversion of CWT Commodity Hub into an MTB, which could depress NPI margin. Upgrade to Hold from Reduce with a higher Target Price (S$0.77) as we roll forward our DDM valuations. CACHE trades at 7.8% FY18F yield and 1.09x current P/BV. 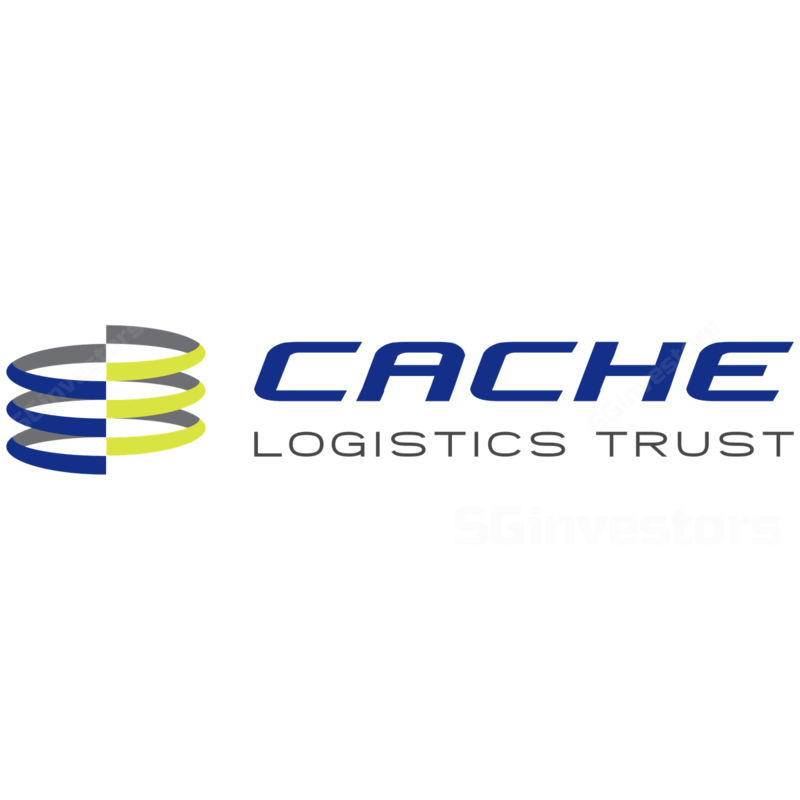 Cache Logistics Trust (CACHE) achieved 3Q17 DPU of 1.541 Scts, -12.8% yoy. Excluding the effects of the rights issue, 3Q17 DPU would have been 1.818 Scts (-1.6% yoy), reflecting relatively stable operations. 3Q17 revenue/NPI fell by 2.2%/3.3% yoy due to the divestment of Cache Districentre 3 (DC 3), lower income from 51 Alps and conversion of 40 Alp Ave. These were partially offset by higher contributions from DHL Supply Chain Advanced Regional Centre (DSC ARC), Cache Cold Centre and the Australian portfolio. Now that gearing has been addressed, the remaining elephant in the room is the potential conversion of CWT Commodity Hub into a multi-tenant building, (MTB), which could depress NPI margin. The master lease of CWT Commodity Hub expires in mid-Apr 2018. About 20% of NLA is up for renewal in FY18F. Of which, c.12% is attributable to underlying leases at Commodity Hub. Another 11% in FY19F and 8% in FY20F are also attributable to Commodity Hub. About 43.5k sq ft of leases were secured during the quarter, bringing YTD leases renewed/replaced to c.386.3k sq ft. Leases were executed at DC 2, Pandan Logistics Hub and Coopers Plains, Australia. Following the repayment of borrowings in Oct, gearing has declined to 35.7% (end-3Q17: 43.6%). All-in cost of financing was maintained at 3.46% p.a. Assuming a limit of 40% on gearing, we calculate that CACHE would have c.S$100m of debt headroom. With the overhang from the equity fund raising dissipating, we upgrade CACHE to Hold from Reduce, with a higher DDM-based target price as we roll forward our valuations. We project marginal -1.1% total returns (FY18F yield of 7.8%, +8.9% downside) in 2018. Upside risk to our call would be accretive acquisitions, especially as the REIT now has the debt capacity, as well as a favourable outcome for 51 Alps Ave (we had factored in the worst-case scenario).